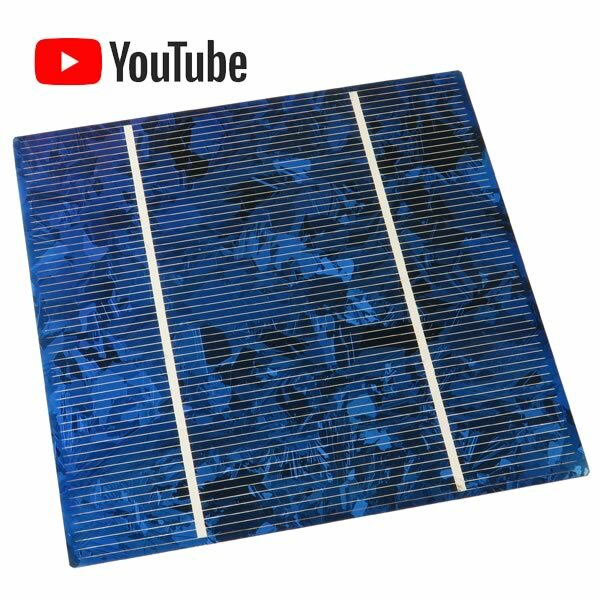 Giant silicon solar cell is just under 5" square. The cell puts out 0.5VDC open circuit voltage and 2.5 Amp short circuit current. Has metal tabs on front and back to make soldering your flexible leads a snap. Cell is fragile and will be in protective packaging when shipped. Sold in a package of 3.